It’s proving to be harder than expected to come up with my picks for the best movies of 2014. It’s been even harder coming up with the top funniest scenes of 2014, because there are so many choices to sift through. But finally (finally! 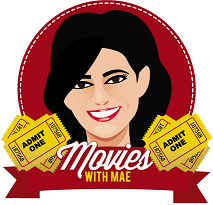 ), I’ve narrowed it down to six funny scenes which made me crack a smile, laugh outright, or were executed so well that a grin couldn’t help but appear stupidly on my face. And now I give you my picks for the top funniest and/or awesome scenes of 2014 (including clips where applicable!). After reading through this post, there might be a small song and dance theme going on. I make no apologies. Enjoy! “If You’ve Only Got a Mustache” (A Million Ways to Die in the West) – Many critics didn’t like Seth McFarlane’s Blazing Saddles-esque western (I thought it was mediocre at best), but we can’t deny that when it comes to random songs, McFarlane is the king (remember the “Thunder Buddies” song from Ted? Yeah, exactly.) 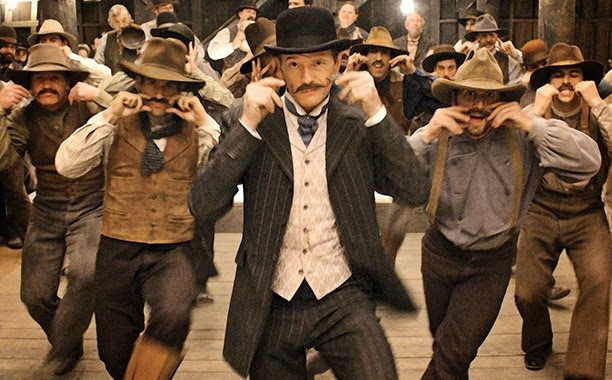 So what happens when you put a down on his luck McFarlane against an arrogant and mustached Neil Patrick Harris? Well, you get a manly showdown where you can only win a girl by sporting a mustache. It’s so ridiculous and random that you can’t help but shake your head in amusement. 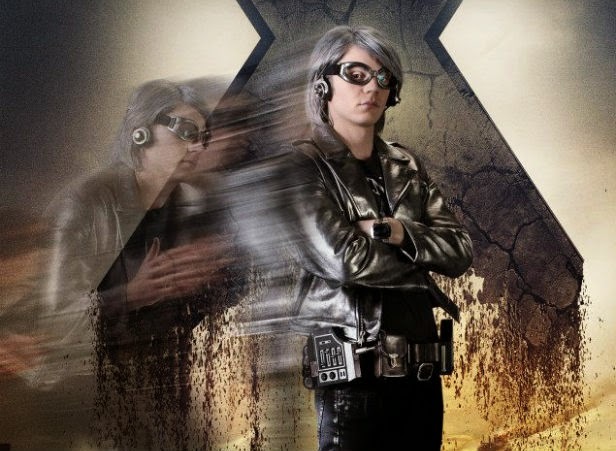 Quicksilver gets creative in the Pentagon kitchen (X-Men: Days of Future Past) – With Bryan Singer back at the helm of the X-Men films (where he belongs), Xavier’s team of mutants is back in tip top form. And the franchise wouldn’t be anything if we didn’t get new characters popping in and out occasionally. 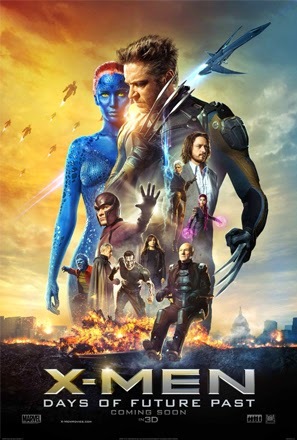 One of the best additions to Days of Future Past, and something Marvel will have to compete with when Age of Ultron comes out next year, is Quicksilver, the ultra fast-moving mutant who helps get Magneto out of his plastic Pentagon prison. Let me not speak on this anymore, but rather let these GIFs explain this scenes awesomeness for me. 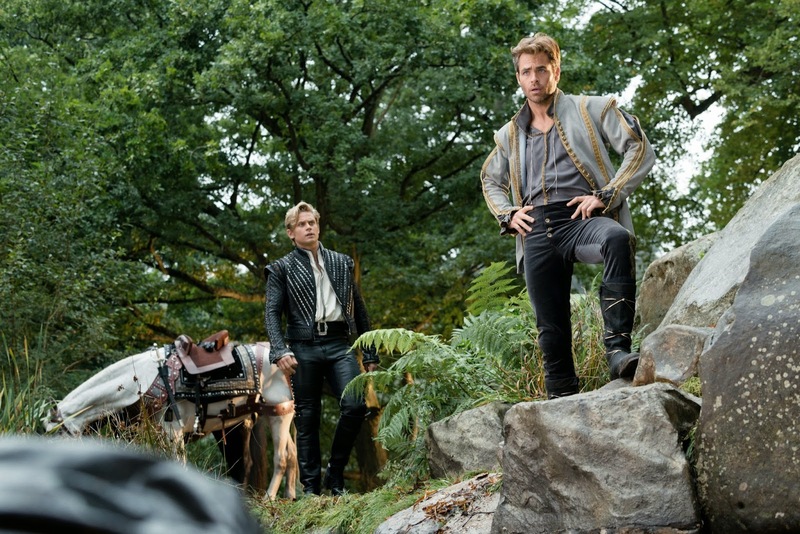 “Agony” by Chris Pine and Billy Magnussen (Into the Woods) – I’ve loved Into the Woods for years. Its a great story and the music and lyrics by Steven Sondheim are extremely clever. 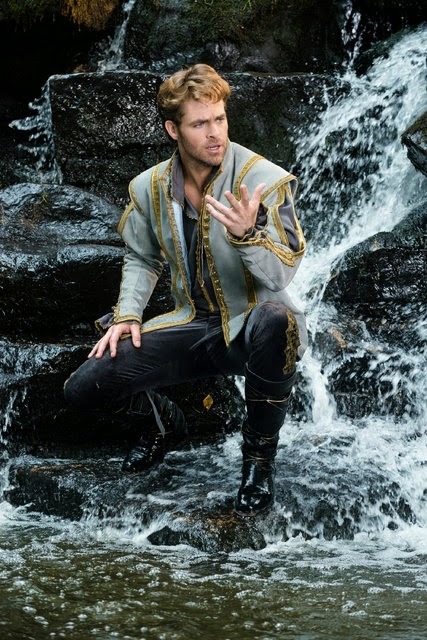 And while there are fun songs and dramatic songs in the musical, “Agony,” sung in the film by Cinderella and Rapunzel’s princes, and is basically about the melodramatic pain they’re going through because they can’t get the women they want (along with a bit of sibling rivalry), takes the cake. I have no GIFs to explain since the movie only just came out, but have a listen to the song and then try and go see the movie so you know what I’m talking about! 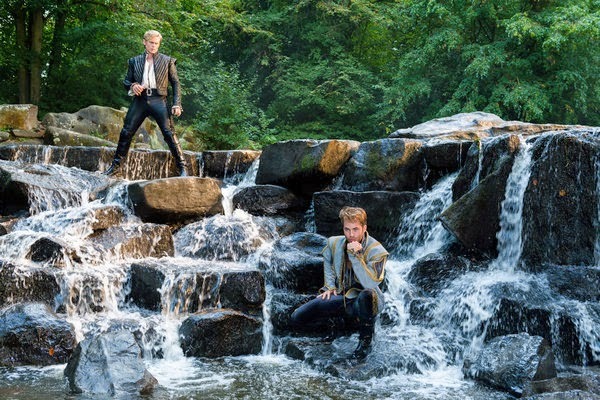 Until then, here are some stills of the over the top princes singing about their supposed agony. Channing Tatum laughs hysterically (22 Jump Street) – There’s nothing funnier than getting a sequel that knows its a sequel and uses that fact to its advantage. And while there are many really funny moments in 22 Jump Street, the one that immediately jumps out (no pun intended) is the scene where Ice Cube finds out that Jonah Hill has been sleeping with his daughter. Channing Tatum starts laughing hysterically and it goes on for a good two minutes, all while Ice Cube is death glaring at Jonah Hill. Ice Cube’s expression and Tatum’s ongoing laughter is just too amusing for words. Bill Hader and Kristen Wiig dance and lip sync together (The Skeleton Twins) – The movie does well in mixing drama and comedy and gives us great dramatic performances by SNL alums Bill Hader and Kristen Wiig. And the greatest and most memorable scene from the film is when the two of them lip sync and dance to the song “Nothing’s Gonna Stop Us Now” by Jefferson Starship. There are not enough words to explain how awesome this scene is. As you can see, GIFs are my best friend. Peter Quill (AKA Star Lord) gets desperate (Guardians of the Galaxy) – One of Marvel’s most successful movies, Guardians of the Galaxy has a lot going for it, most especially the duo of Groot and Rocket Raccoon, but one of my personal favorite scenes comes right in the midst of the grand finale in the most random and unexpected ways. 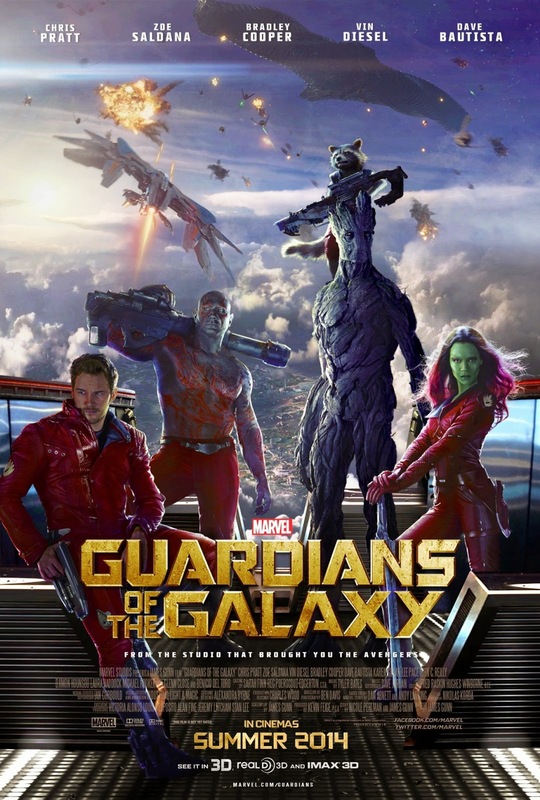 Peter Quill and his team find that Ronan the Accuser is in possession of the Infinity Stone and what does Quill do? He starts singing. “O-O-H Child” as a distraction, cutting off Ronan’s monologue. One word: Awesome!